James is a BAFTA-award winning TV and film actor. James Nesbitt is one of the most popular and familiar actors on British television. Cold Feet made him a household name and he has since excelled in everything from Gothic horror to wacky comedy. On the big screen he's starred opposite Ralph Fiennes in Coriolanus, and plays one of the dwarves in Peter Jackson's The Hobbit. 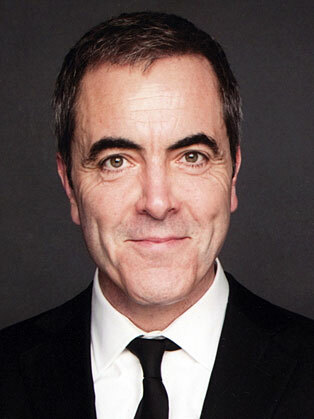 Born and raised in Northern Ireland, James Nesbitt followed the advice of his school teacher and attended drama school in London. Starting his career on stage, Nesbitt has appeared in numerous plays including Paddywack, Translations, As You Like It, Philadelphia Here I Come, and Can't Pay, Won't Pay and most recently Shoot The Crow in the West End. His first major TV roles included Ballykissangel and Playing The Field but it was playing Adam in Cold Feet that brought him to the attention of a wider audience. Based around the lives of three thirty-something couples, this critically-acclaimed drama won James a British Comedy Award in 2000 and a UK National Television Award in 2003. His range of TV roles since then has included the title role of Tommy Murphy in Murphy’s Law. This was specially written for James by writer Colin Bateman. The first season aired in 2001 and the fifth series aired in 2007. In 2002, he played the leading role, Ivan Cooper, in Bloody Sunday which won him a BAFTA nomination and Best Actor award at the British Independent Film Awards and the Stockholm Film Festival. In 2003 BBC Drama produced a modern re-working of Chaucer’s Canterbury Tales with James playing the main lead, Nick in The Miller’s Tale – airing on BBC AMERICA, Saturday, January 29 2005. In 2007 he starred in the critically acclaimed BBC series Jekyll which gained him a Golden Globe nomination for Best Performance by an Actor in a Mini-Series or Motion Picture made for Television, and a Rose D’Or nomination for Best Actor. James worked on his first film, Hear My Song in the early 1990s. He then worked extensively with director Michael Winterbottom on the films Jude (1996) and Welcome To Sarajevo (1997). He gained wider recognition in the film Waking Ned Devine (1998), playing the lovable pig farmer, Pig Finn. He starred in Danny Boyle’s movie Millions, and appeared in Woody Allen’s Match Point. James has recently been a part of the award winning film franchise, The Hobbit, starring as one of the 13 dwarves, Bofur.